Jake. 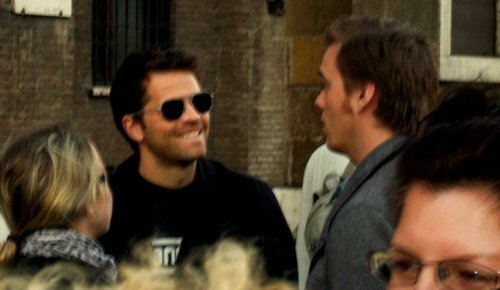 Misha and Jake in Rome. Wallpaper and background images in the Jake Abel club tagged: jake abel jake abel jus in bello 2010. This Jake Abel photo contains sunglasses, dark glasses, and shades. There might also be street, city scene, and urban setting. Misha and Jake! Yay! Two of my favorite people in one photo!